Are you searching for a Bronx tree trimming service company to come inspect your trees? Tree trimming is an important part of keeping your trees looking healthy, and keeping healthy. 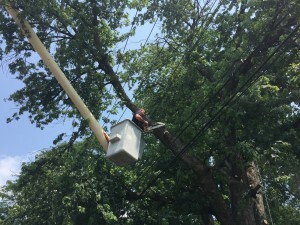 A great local tree company like Bronx Tree Services will know which limbs and branches need to be trimmed and if there are any other issues with your tree. Tree trimming, tree pruning, tree removal, tree cutting, emergency tree service; at Bronx Tree Services we have you covered. It is important that you can trust and rely on a tree company, and we want to be your local tree company you have on speed dial. Like people trees need a good trimming from time to time. Trimming your tree not only makes it look great but it actually helps keep your tree healthy and strong. From yearly tree maintenance to emergency calls we are busy year round serving property owners in the Bronx for all of the tree service and tree care needs. Bronx tree care by local tree experts can make sure that you get the tree care needs you need to keep your trees looking and feeling amazing. When looking for a tree trimming company in the Bronx please call the experts, Bronx Tree Services. When your tree needs a trim our Bronx tree trimming company is there for you. Tree trimming service can be dangerous, especially with a large tree. Hiring a local tree company like ours means you are fully covered in every situation. We are fully licensed, insured, and very experienced in providing every type of tree service, include tree trimming and tree cutting of dangerous or very large trees. 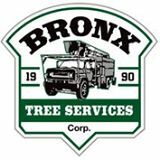 Our local tree experts know the Bronx, live in the Bronx, and love providing the very best tree care and service to our customers. If you’re in need of any type of tree service in the Bronx call Bronx Tree Service now! We are your Bronx tree trimming company. Call us for all of your Bronx Tree Removal, Tree Care and Tree Service needs! © 2017 Bronx Tree Services Corp. All rights reserved.